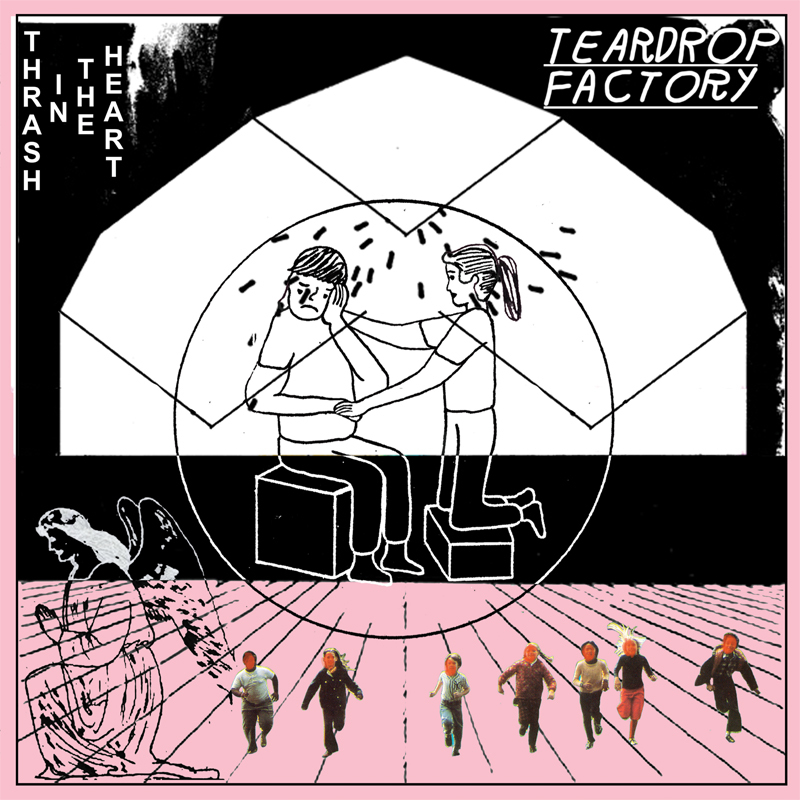 Trash In The Heart from Teardrop Factory offers sweet shoegaze dressed up in gloriously grungy slabs of guitar and pounding drums. There is nothing slick here -- this Brighton duo of Tina and Andy is so-committed to lo-fi and DIY that they record in their bathroom. And while the energy and big riffs and dirty bass underscore the truth of the album's title, the little secret is that these songs are good enough that they'd work as an acoustic set as well. With a bit of scuzzy menace, solid melodies and an intelligent spin on '90s alt rock, this is a gem of a debut album, a celebration of rock swagger, blasting guitar noise and with shouted lyrics climbing over the riffs. While pop stars sing team-manufactured, corporate-hyped hits, rock and roll lives on with Teardrop Factory. Trash In The Heart is available via Faux Discx.